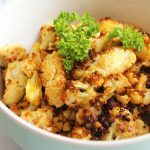 This Curry Roasted Cauliflower is one of my favourite dishes to throw together for something quick or to add to meal prepping. It makes lunch time super easy when you already have things like this in the fridge. All you need to do is just throw them together and you have a delicious and healthy Buddha bowl! I love to add parsley, drizzle a tahini dressing and a sprinkle of pepper. 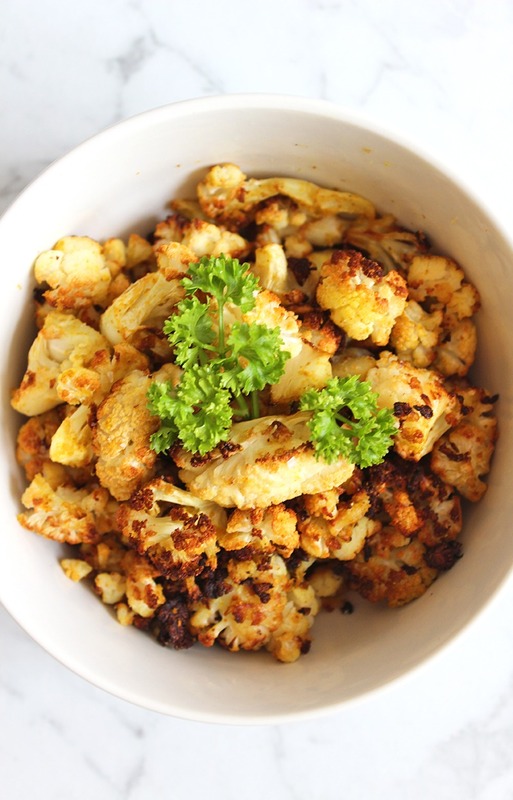 This Curry Roasted Cauliflower is crispy, bright and full of flavour. 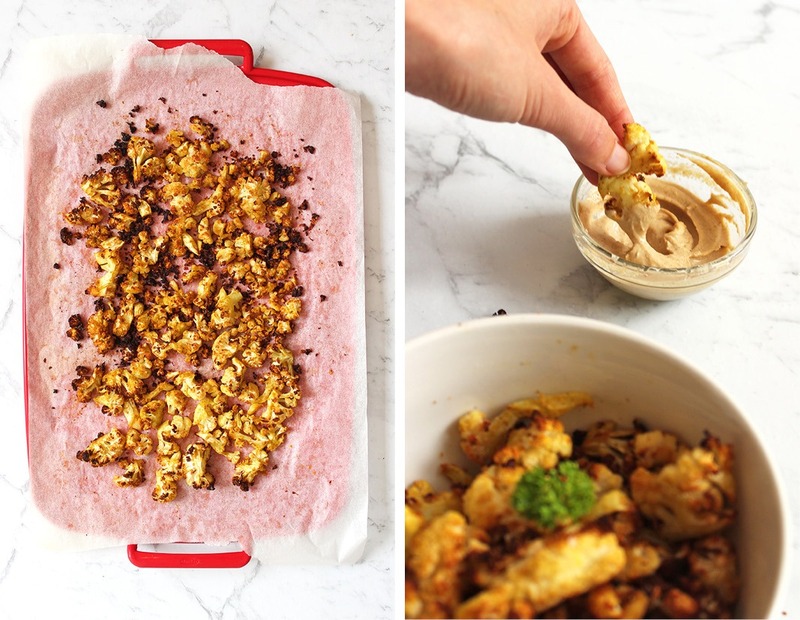 Requiring only 5 ingredients and about 7 minutes of prep time, it’s a hassle-free one to whip up! Another benefit; it’s super easy to prepare! 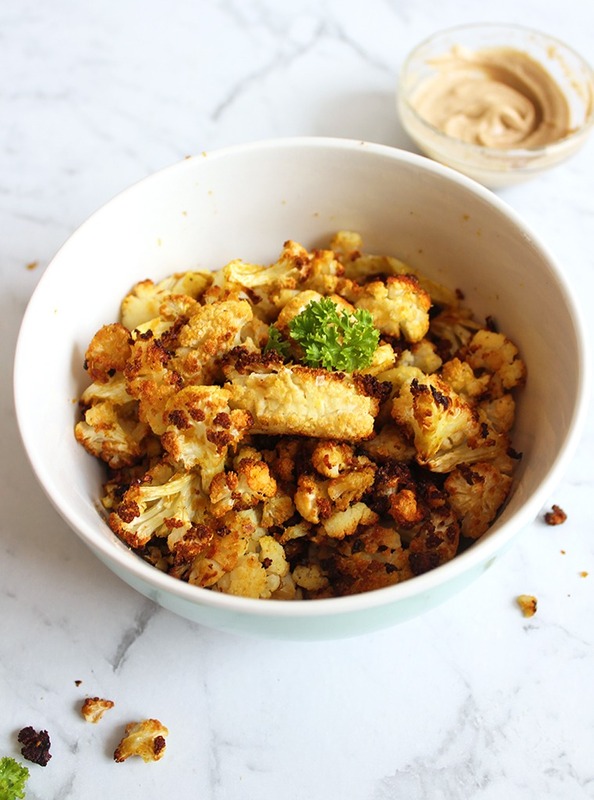 Just chop your cauliflower head into florets and toss in a bowl with oil, yellow curry powder, nutritional yeast flakes and salt. Spread the coated florets out onto a lined tray and bake until they start to turn golden and crispy on the edges. Then serve up and enjoy! Did you make this recipe or do you plan to? Share your pictures with me on Instagram @lemonthy.me, I’d love to see how you enjoyed it! Preheat your over to 200°C (390°F) and line a baking tray with parchment paper. Chop the cauliflower head into small florets and transfer to a large bowl. Add the oil, nutritional yeast flakes, yellow curry powder and salt. Then stir it until the cauliflower is well coated. Transfer to your lined baking tray and pop into the oven for 15 minutes. 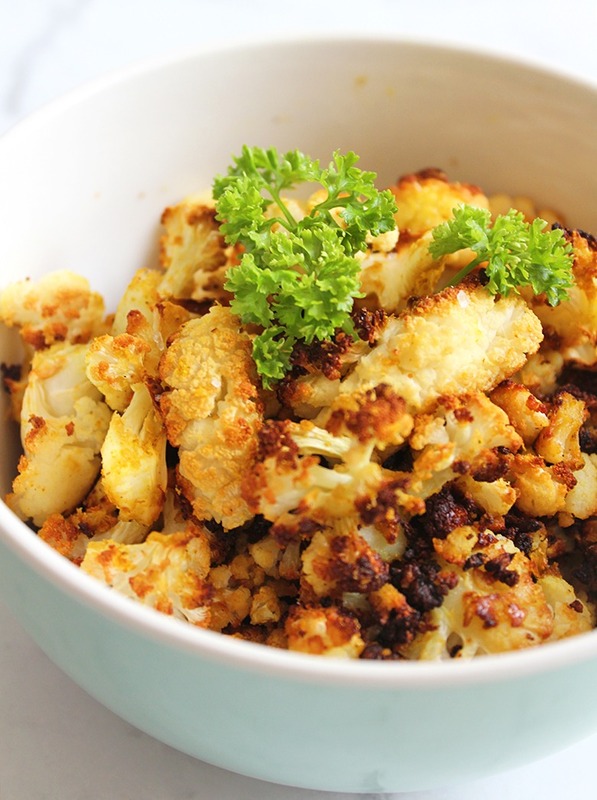 When the cauliflower has turned golden and crispy on the edges it is ready. Serve as a side dish or enjoy it with a drizzle of your favourite gravy or dipping sauce. * I use macadamia nut oil, however, any oil you use for roasting will work just as well.